It’s an all-natural, eco-friendly, and super long-lasting laundry detergent alternative. Toss an egg in with your wash. The ceramic and mineral pellets inside do some serious stain fighting, and last for up to 210 or 720 washes. Dimensions: 6" x 3" x 8"
I have used the Ecoegg on 6 loads now and it seems to be working well. The clothes come out clean. No measuring soap. I like it. 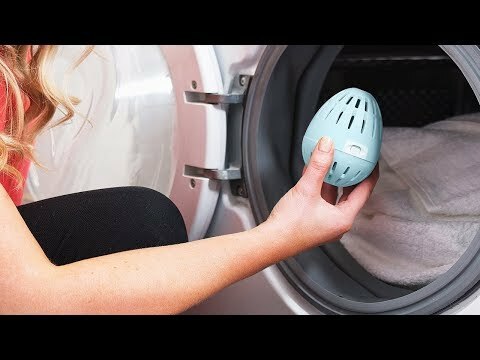 Doubtful at first, but having used it now a couple of times, I am very pleased with the outcome: laundry is clean and no overpowering fragrance with the laundry egg and the dryer egg as well. The product cleans well and makes your clothes smell wonderful!